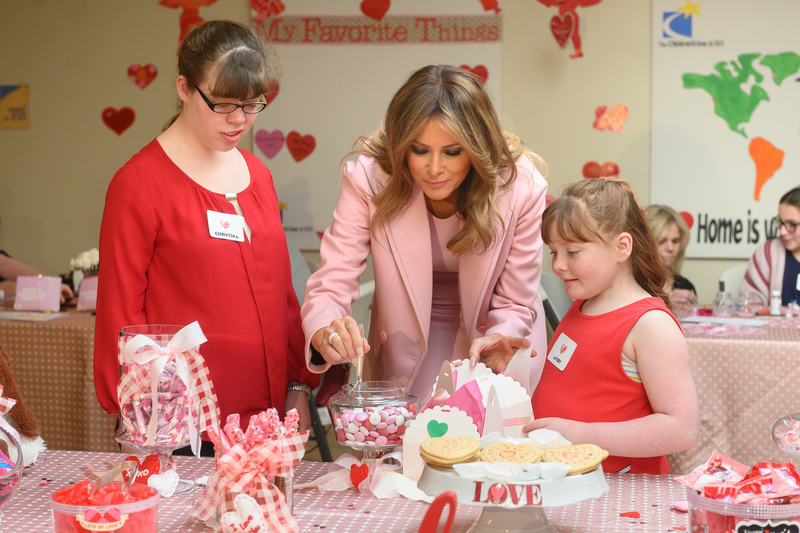 The children, families and staff of The Children’s Inn were honored to welcome First Lady Melania Trump for Valentine’s Day for the second year in a row. The First Lady was greeted by Inn CEO Jennie Lucca, NIH Director Dr. Francis Collins and Inn board chair and President of Palladian Partners Beth Maloney, along with Inn resident Amber, 9, of California. Amber, who is being treated at the NIH for a rare neurodegenerative disorder called giant axonal neuropathy, had one burning question for the Mrs. Trump. “Do you remember me?” Amber asked the First Lady. She was overjoyed to hear Mrs. Trump answer that she does remember Amber from last year’s Valentine’s Day visit to The Inn. 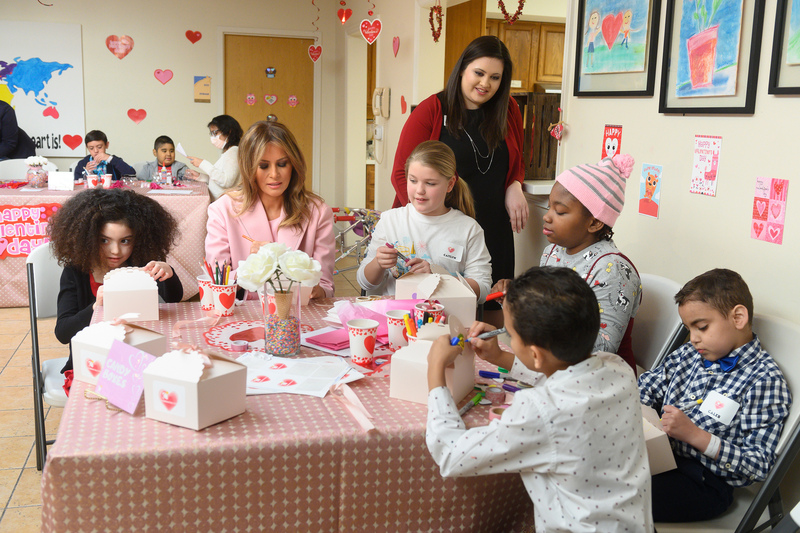 After talking briefly, Amber led Mrs. Trump to one of several tables where children staying at The Inn were participating in Valentine’s Day-themed activities. Amber and other Inn children, including Caleb, 9, of Puerto Rico who is battling brain cancer and his twin brother, Josué, decorated candy boxes with the First Lady. Avery, 9, of Missouri, who is being treated for a rare, genetic immune deficiency, and other children led Mrs. Trump to a candy station where she made sure to fill every child’s decorated box with a generous helping of a variety of candies. Mrs. Trump also made heart-filled snow globes with the children, wrote on a heart-shaped piece of paper about “things I love,” placed the White House on a world map and watched children place hearts on the places they come from – in the United States and countries as far away as China and Kenya. 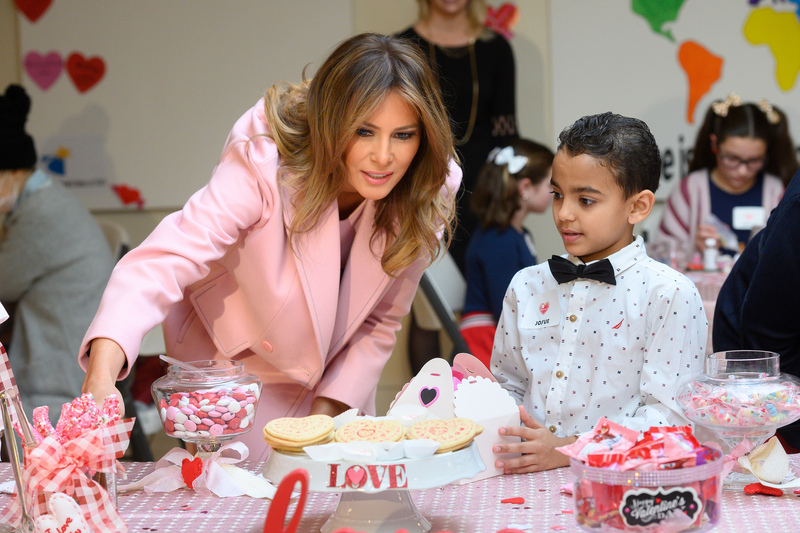 Finally, Mrs. Trump joined a group of children making candy grams – candy with a Valentine’s Day message. As the activity came to a close, Amani, 13, of Kenya presented the First Lady with a handmade MyIntent necklace with the words “hope” and “faith” inscribed. The words carry special meaning for Amani who has been suffering from sickle cell disease his entire life and was preparing for a potentially curative bone marrow transplant at the NIH. Touched by Amani’s kind gesture and moving story, Mrs. Trump wished him well for his transplant and invited him and his family to visit her once he’s feeling better. 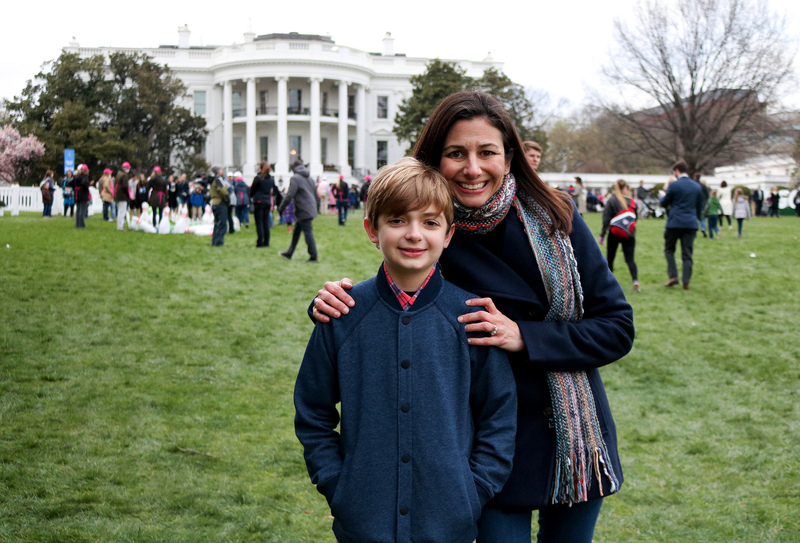 Over the past year, the First Lady also invited Children’s Inn families to participate in The White House’s annual Easter Egg Roll, a holiday visit to the White House and the launch of her Be Best campaign. See photos and media coverage of the First Lady’s visit.